Is it Donald Trump who's bailing out the 'Tonight Show' star? 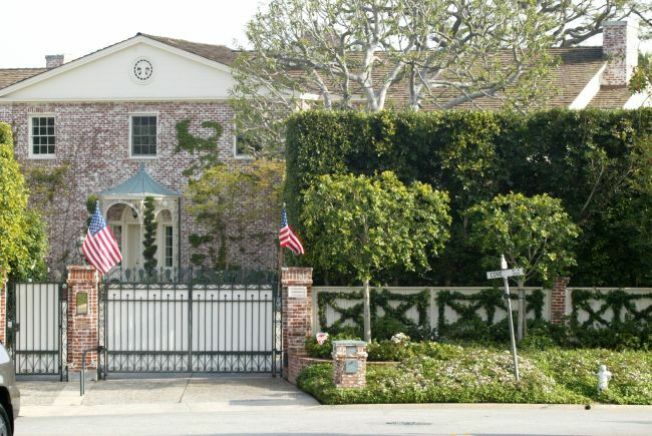 What do you think the monthly bill is on this Beverly Hills mansion? Lucky for Ed McMahon, he now gets to keep it. Now you can stop losing sleep at night worrying about where Ed McMahon rests his head. TMZ reports the former 'Tonight Show' sidekick will not lose his home, which has been in foreclosure for months. Both tabloids and fellow celebrities have been tracking McMahon's plight. Donald Trump offered to buy the property and let him live in it. But apparently Ed has managed to renegotiate his mortgage with a plan he can afford. Great news for Ed; we only wish him the swellest of housing karma. But what about all the non-celebs out there struggling to make ends meet? They don't have the benefit of celebrity status to rally public pity, or to drum up help from billionaire friends. Maybe that's just the way it goes in this media-happy world. Or maybe, instead of picking up that latest rag at the checkout counter, we should instead pick up the phone and call our representatives to demand equal opportunity for loan re-negotiations. Then maybe everyone would have a shot at keeping their homes without having to hit the lottery. For now we'll have to take solace in the knowledge that Ed's multi-million dollar home is safe for another Christmas.